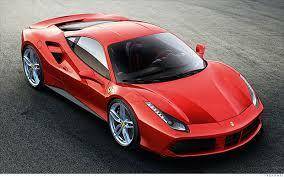 If you are an owner of a Ferrari then you should visit the Premier Plates UK website where you can search and order your ideal Ferrari number plate at a competitive price worry free. Premier Plates UK have over 45 million personalised number plates available with some of the most exclusive cherished number plates available within the UK car registrations market. The world of cars is fast advancing and new vehicles are being introduced at a vast rate. The boundaries of the car market are being changed. One of the most striking changes to the car market is the application of new intelligence technologies and software. 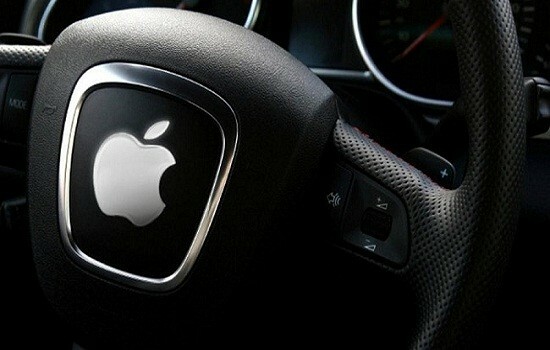 New technology applied to road vehicles is on the horizon with Apple Inc., expected to introduce its smart car. While many might view Project Titan, Apple Inc’s effort of manufacturing a smart car, as a monumental distraction from the Company’s core expertise, most of the officials at Apple feel justified in pursuing this venture. What to Expect from Apple’s New Car? Apple has long been known for the hi-tech appliances it has developed for its users. So, if Apple comes up with a new car, what can be expected from it? Is it going to be as amazing as other developments in design made by the Company? Let’s take a look at some of the features of Apple’s car, which is likely to be a product of their Project Titan. Apple Inc. is all set to compete with Tesla with its new product, the smart car. In fact, it is all set to “give Tesla a run for its money”. This is because, in line with the green trends being seen in the auto industry, the vehicle is an electric car. This also highlights Apple’s growing interest in renewable energy, which has driven the company to build an $850 million solar plant in California. So, the Apple Car is also likely to add a new dimension to the already amazing world of electric cars. The apple car is yet to hit the road. But the prototype has already revealed the expected design of the car. American cars do not generally meet with the requirements of excellent design. In fact, they are lacking in design excellence. According to Business Insider, this is also the way Apple’s Design Chief Jonny Ive views American car design . He had previously been involved with Ford in creating a concept car. Like most of its other appliances, Apple Inc.’s car is also set to touch new standards. Far from a simple car, it is likely to be loaded with computers and advanced software. It will have wireless connectivity, which is likely to make it safer than most of the other vehicles. The car is expected to have artificial intelligence. Moreover, Apple’s smart car is expected to be controlled prudently by this intelligence, which is going to play a major role in avoiding crashes. Besides, it will also respond to voice commands, thus making the process of controlling the car easier than ever before. The car from Apple Inc, which is expected to hit the roads in the very near future, is likely to create new definition, blending concept cars and excellent consumer experience. In short, the car from Apple Inc is going to be almost like a mobile computer, with all the features of the computer in it and, at the same time, delivering the joy of driving and riding in utmost comfort. The world of cars is fast, dynamic and constantly evolving. It’s more focused on the world of connected cars these days. And keeping in mind Apple’s list of products that make it a giant in the effort to make the world a connected place, the company is sure to move forward in great strides as a pioneer in the manufacturing of connected cars.